I agree with you wholeheartedly Jang. People don't understand the complicatedness of redesigning a whole new set, especially one of this size; if they had made a completely original design it would have added another hundred dollars onto the price tag to pay for the development process etc. Very well-written and thought out post. This is why I follow you! Keep building! Why do we need to know that you're from portugal? Completely disagree. The points you try and "debunk" are all valid. It's a pattern (if only from 2 sets so far) the average parent is not going to pay 530-550 (depending on tax) for a Lego set. Those prices are realistically meant for AFOL. If you upset your "customers with money" it will backfire. Will this set sell? Yes. Will it sell like 2008? Highly doubt it and rightfully so. Eh, I'm not buying the inflation argument as if price per piece isnt a thing anymore. If it's 4000 pieces, it should be $400. Thats how it was in 2008 and that's how it is now. Doesn't change simply because it's an old set being refreshed. It's strange jang is using this logic, because then he should be okay with basically any set being ~.12 cents per piece these days due to "inflation". Yes there was a 200 part increase but that doesn't justify the price. Totally agree dude, it's just another money grab by greedy people. I just have to say- I am definitely no expert on the subject but I do know that some people are Totally resistant to any change, as if it's a horrible thing. You should just accept that inflation does happen, and Lego has to inflate their prices as well to survive. If they never increased their prices, though you call it "greedy", they would not be able to make money. If plastic prices soar, then so do the prices of things made of plastic, namely Legos. True, but you never see any deflation to balance it out. No instead they just get more and more overpriced. In your calculations you missed the fact that the original set was selling considerably cheaper at price per part than the rest of the range. So all that has happened is this set has been brought into line with the rest of the theme. Star wars Lego today is about 25% cheaper ppp than in 1999(with a couple exceptions)not including inflation as well. Most of these angry people should be angry at themselves for missing their eight year chance at getting a bargain set. I generally agree and find the outburst in some forums about the updates DS unfair. But re Disney / Star Wars tax the one thing that comes to mind is the chrismas calendar. This is actually something that I don't see many people (Jang included) not considering here. That's a valid point and I commend you for your critical thinking. It's a very reasonable hypothesis. However, see my simple objective arithmetic analysis above. Facts and cold, hard numbers should never be pushed aside in favor of an untested theory or emotional response. I'm still probably not going to get this partially because my parents don't have $500 that they will give me for the same set I already got with a little bit more pieces and new figures. Also, I really wish that the Death Star came with an outer shell that could be clipped onto it so that way if you wanted to display it as a complete Death Star you could. 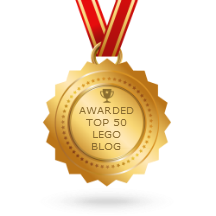 I have never understood the debate re certain LEGO sets being overpriced or "too expensive". If one feels a particular set doesn't offer value for money or one cannot afford it, don't buy it. Simple. While it may be damaging to a brand to annoy a certain sector of its market (in this case the AFOL community), nobody is being forced to buy anything! If it works for you then pay the price and smile. If not then don't buy it and stop complaining! Superb article Jang! Completely agree with all the points made and am genuinely astounded sometimes when so many people appear to know far more about what the market wants than the worlds most successful toy company! The 'Lego designers getting lazy' is my favourite undeserving comment, as an AFOL I am spoilt for choice every single year about what to buy and quite often have to be really strict with myself due to money and space about what I can buy. There are still so many sets I want from some superb lines that I cant even believe the word 'lazy' has been brought into it! So glad as well that once again you're standing your ground and keeping your thoughts as objective and unbiased as possible. I suspect that its one of the key reasons why you're popularity in recent years has increased so much!! I'm not sure I agree factoring for inflation makes sense, and I do have a reason. I have gone in and out of being an AFOL a few times over the years. In the early 90's I became a fan of Blacktron II. I really likes 6832 "Super Nova II" 40 parts, which I remember buying for about $4 a set, so that is a 10 cent price per part ratio in 1991. Now that is only 1 set, and possibly I remember wrong, so I looked up a Sears Christmas Catalog from 1991. There are 11 Lego sets in the catalog. That is quite a range from from 7.7 p/p to 14.4 p/p but if you bought all 10 sets it would cost $419.90 and you would get 4050 parts for a 10.4 cents per part ratio. I'm not sure why, but the price per part ratio is still roughly the same place it was 25 years ago. This is why a 5% inflation increase over 8 years does not make sense to me. I totally agréé with you...Lego are cheaper today if you compare when i was young. I do the same with sears catalog 1984...and all Lego set was 0.10 - 0.14 per piece. So people should stop complain about price...and you know what? If they dont like the price, juste dont buy it. Agree, Lego are same price today they in 1991. Plus, i check price from sears catalog 1984 and the average price was the same! People should stop crying about price...if you dont like the price, dont buy it! Keep up the good work, Jang! And thanks for your reviews. I'm not sure why you'd decline the free set recipient aspect. Do you believe it would affect your partiality, or perhaps do you feel it's important to see how easy it is to source/afford sets to stay in touch with that side? Just curious about that decision. Wow, you are actually asked to join the bandwagon of haters? That's really extreme. I'm not going to complain about not getting what I want that I have to buy on my own, and I'm certainly not going to hate on LEGO for this. It doesn't make sense for me to hate on someone or something that is just doing their job. Sometimes the quality of their work might not be as good as before, but I understand that decisions have to be made, and sometimes against everything else. What really triggers me is the immaturity I see from people's comments. 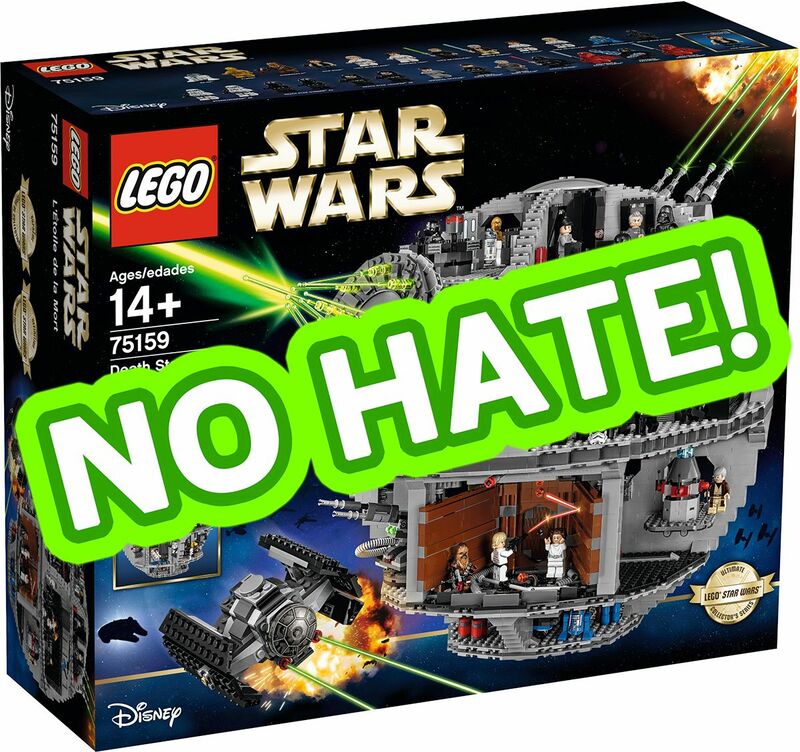 I sometimes here proper constructive feedback which is the "I prefer this/that" or "I think the LEGO set would function better with this/that", and then some immature people will say "This is really dumb/stupid" or "LEGO is lazy", or a form of it using profanity. Just because someone makes a decision we disagree with, does not give us any right to be rude or disrespectful to them. If someone wants to tell LEGO they aren't doing a good job, they should just tell them that they aren't doing a good job and how they can do better instead of giving them immature and rude comments. I believe you have the right idea - And I completely agree with you. Not being biased or anything. I also think it is a little overpriced. For a little change in the figures it doesn't mean the price should rise $100. Agree 100%. Its tough to remember sometimes that all the people sending hate mail or posting crappy comments are just a very loud minority.